One of those rare novels that lives on long after the last page; Sarah Winman’s power to fully inhabit her characters only seems to deepen, and this is a novel that almost stings with truth. Ellis, Michael and Annie, three points in a poignant triangle of loss and longing, a story of paths taken and the regrets that can haunt forever. Masterclass stuff from the author of When God was a Rabbit. Sarah Winman grew up in Essex and now lives in London. She attended the Webber Douglas Academy of Dramatic Art and went on to act in theatre, film and television. 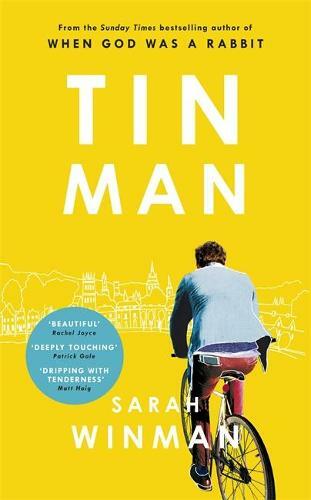 What an incredibly moving novel, it literally leaves you totally and utterly speechless with emotions. Wow what a truly, beautiful, beautiful novel. I loved both When God Was A Rabbit and A Year Of Marvellous Ways both very different to Tin Man. There’s something about first love, isn’t there? she said. It’s untouchable to those who played no part in it. But it’s the measure of all that follows.